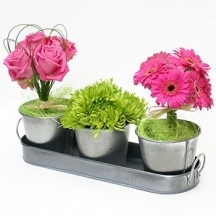 Flower delivery London by award-winning London florist and flower shop! 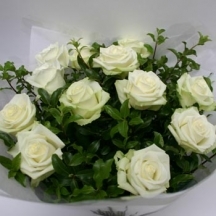 We offer flower delivery London same day and flower delivery UK next day. Order flowers online at competitive prices from award-winning London florist and online gift delivery shop Flowers24hours for FREE same day flower delivery in London! Recognised internationally as a traditional expression of love and care, the act of sending flowers is as prevalent today as it has ever been. Whether one is looking to communicate their gratitude for a favour received, offer congratulations for an achievement, or simply remind that special someone that they are being thought about, the endless possibilities offered by flower arrangements make them the perfect gift for almost any occasion. Furthermore, many species of flower have an underlying nuance that provides them with a deeper meaning, this in turn helping one to convey their emotions succinctly via a beautiful gesture. For example Heather, an enchanting species indigenous to a wide variety of locations ranging from North America to Scotland, bears the dual meanings of admiration and good luck which therefore makes an arrangement oriented around this flower a fitting gift for someone starting a new job or another potentially daunting venture. Another benefit of sending flowers as a gift was discovered by the University of New Jersey when they proved that receving flowers has immediate as well as long term positive influences on happiness whilst also helping people to maintain intimate connections. Most people can relate to that intial surge of delight after receiving a beauteuous bouquet from a loved one and so it is not surprising that the university’s results show that, by taking the time to send someone such a clearly thoughtful gift, someone can bring so much joy to another. An additional benefit to sending flowers as a gift can be found in the fact that peoples’ response to colour is intensely emotional, meaning that flowers can stimulate the heart as well as the eyes and nose; a delightful floral arrangement’s colours can affect and even enhance mood. Perhaps the most appealing aspect of sending and receiving flowers online is the fact that an arrangement can be be tailored to meet the unique specifications of a particular situation, this in turn allowing for a great degree of personality to be conveyed. In a modern society where traditional, thoughtful gifts are seemingly being replaced with characterless and easy alternatives this genuine emotive expression is both refreshing and alluring, thus enhancing the impact that flowers can have when received. 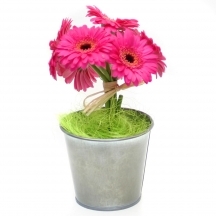 Moreover, businesses such as flower delivery company Flowers24Hours.co.uk have experts on hand to advise and suggest possible gifts for every occasion, thus removing the stress from the situation whilst making sure that the correct gift has been chosen. Bearing in mind all of the above, Flowers24Hours.co.uk are the perfect flower company to facilitate one’s floral needs. With an impressively extensive array of flowers, gourmet products and other related gifts, Flowers24Hours.co.uk provides personalised, exquisite products at competitive prices. Furthermore, we offer same day flower delivery in London those last minute needs can be met punctually and so any sudden requirement for any of their delightful products can be expedited. As is fitting for the nature of the service we provide, London flower delivery company Flowers24Hours.co.uk harbour a real passion for the quality of the products that we supply as we appreciate that flowers are more than just a gift, they are an expression of emotion and should therefore be treated as such. Additionally, for those who have more refined floral tastes there are the options of preserved, silk and hand tied flowers, this ensuring that even the most distinguished horticulturalist will be impressed with any gift that they are fortunate enough to have received from a loved one. The final advantage to using London flower delivery shop Flowers24Hours.co.uk for any floral requirements is the user-friendly ‘perfect gift’ finder on their website, as this allows one to input the addressee’s postcode, the nature of the occasion, the budget for the bouquet and the required delivery date to formulate the most ideal gift for the situation. As there are indeed endless possible variations of floral gifts that can be sent this convenient interface can be of great assistance to the less-experienced flower purchaser by removing the element of stress from the situation, in turn allowing the sender to rest assured in the knowledge that they have sent the perfect gift for the situation and will soon be reveling in the joy of the receiver. Online deliveries by our flower shop are available for many exclusive flowers and gifts. With eighteen years of experience as one of the top florists in London, and top award winning customer service, we can guarantee total satisfaction. Flowers24Hours's unique system as an online London florist for flower delivery in mainland UK has been created to help customers with the busiest lives send gifts and flowers on time. You can order online for your social or corporate events via our secure online payment system. Order flowers online from a London florist with flower delivery London same day and a next day flower delivery across the United Kingdom! The range of flowers available for same day flower delivery in London is larger than gift range for the UK deliveries. Valentine's Day flowers delivery in London our speciality! Order flowers for London with confidence! If you want to send flowers to London look no further! If you need same day flower delivery in London for a birthday or anniversary that you have forgotten we can supply this and save you embarrassment. For flowers delivered London same day browse our selection of exclusive flowers and gifts ready for same day flower delivery. We are sure you will find a flower arrangement or gift appropriate for the occasion. 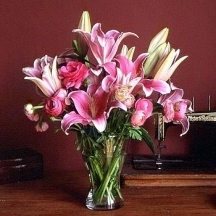 London flowers online are of course the ultimate gift for romance. The standard vision of romance is the red rose, and if you do not know the recipient’s tastes this could be the safest plan to follow. Everyone will appreciate its classical beauty. A popular choice for a romantic gift is the Special offer flowers for London flower delivery are always worth a look. Choosing the right varieties, for the time of year, means that you get the best quality flowers available. Looking for sunflowers in winter, or tulips in autumn, will only mean that, if any can be found they would be over priced and not of the highest quality, so come to flower delivery service in London - Flowers24Hours and choose only the best in fresh seasonal flowers. We deliver tulips, sunflowers, amaryllis, calla lilies and roses at their best. Valentine’s Day flowers, London – The busiest day of the year for every florist! We have prepared pages for Valentine’s Day dedicated to giving you an easy to see range of Valentine’s Day flowers gifts and other gifts for Valentine’s Day flower deliveries in London and across the UK. From the truly outlandish 101 roses special to the simplest single rose one of the top luxury florists in London has something for you! As one of the flower shops in London which can deliver flowers the same day in London even we recommend that you order by the previous day for Valentine’s Day. 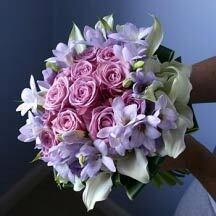 London florist Flowers24Hours can also send Valentine’s Day flowers for delivery UK wide the day after your order. For those wishing to send flowers to London look no further! London flower delivery same day is our speciality. Romantic flowers and gifts on this special day will be long remembered. Anniversary flowers delivered in London are a convenient option. Romantic flowers and gifts are available all year round whether delivered to London or elsewhere in the United Kingdom. Do not forget about thank you flowers to someone who has helped you! There is such a broad range, such as hand tied flowers, silk flowers as well as the more popular flower arrangements with flower vases. There are many other occasions where flowers are just so appropriate; congratulation flowers for when a happy event occurs in someone’s life, whether graduating or birthday flowers to make the day complete. Send a message of your thoughts to someone special by ordering your Mother’s Day flowers online and get well flowers as well as new baby flowers and gifts. Even business flowers and gifts can be sent across the UK to let someone know how much you appreciate their efforts! Do not forget that exotic and tropical flowers are available with a little notice. Saying congratulations with London Flowers24hours! If you’re sending flowers in London or looking for flower delivery in London, some tips for choosing the perfect bouquet from a top London florist include: considering the recipient’s favourite colours, or variety of flower. 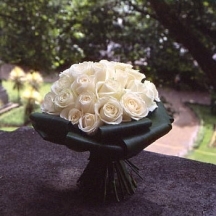 Roses for example represent love and romance, while daisies and daffodils symbolise friendship. Taking all these things into consideration means that he or she will really appreciate the thought you have gone to. There are lots of flowers shops in London which can offer you a fantastic range of fresh cut flowers and creative ideas for you to send and congratulate your loved ones! Or, if you’re looking for flowers online delivery, there are lots of great pre-made flower bouquets, plants and hampers that you can send for same day flower delivery in London instead! 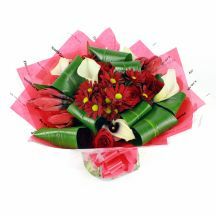 For more information on how to order flowers in London or delivery flower in London browse Flowers24hours's webpages. Christmas flower delivery in London – Another busy season for London florists! The dedicated pages for Christmas include Christmas flowers, decorated Christmas trees and other gifts for you to send for same day delivery in London and flowers for delivery UK, outside of London, the next day. Our top designers have displayed their flair with their array of winter flowers and special flower arrangements for Christmas. Let us not forget other gifts such as hampers, wine gifts, fruit baskets, champagne, chocolates, gourmet gift baskets, cuddly toys, teddy bears and even some wooden gifts which are so apt for the Christmas season! Seasonal British flowers and plants for online deliveries - London florists are keen to make the most of any season. Even in winter flowers such as roses and chrysanthemums are available for same day flower delivery in London and there are the Christmas specialities such as poinsettias and Christmas wreaths which rely more on their leaves than on their flowers to have strong impact. Spring flowers from bulbs personify the season especially tulips but do not overlook spring plants either, whether flowering plants or green plants there is bound to be something capture the spirit of the season. Orchid plants can be had all year round for something extra special. Remember that, no matter what the season, delivery flowers London are available especially roses, calla lilies, gerberas, freesias and usually amaryllis and anthurium flowers. Luxury florist London Flowers24Hours know how to make the most of them! Summer flowers from the United Kingdom include the soft pastel colours of peonies, roses and pinks (named after the shape of pinking shears!) become plentiful and form the centre of many flower vases. Popular UK florist and flower shop London - Flowers24Hours knows how to capture the carefree atmosphere of summer too, with many flower arrangements. You can send flowers to London from anywhere. For same day flower delivery London look no further! Autumn flowers are well represented by the dahlia, hydrangea, and amaryllis. Autumn has a feel all of its own, with the richer hues of reds, browns, greens, purples and gold coming into their own. This is one of the flower shops in London whose flower arrangements are a delight for anyone needing flowers delivered London. Roses for London are popular in any season and plentiful. Flower delivery UK wide - Bear in mind that regardless of the season same day flower delivery in London is possible and elsewhere in the UK next day. Plants are usually only available for London. Christmas is also seasonal so do look for those special flower arrangements for Christmas. Even at such a busy time London flower delivery same day is possible! Luxury flower shop, London really shine at Christmas so do look around and see what hampers and gift sets would be appropriate for you to add when you want to send flowers in London or seasonal plants, such as poinsettias. Just think of whatever comes to mind. Do roses for London create a picture for you? As one of the luxury florists in London Flowers24Hours can do a spectacular flower arrangement of 101 roses if your budget can stretch that far. If you have the time you can enjoy simply looking at our flower arrangements and flower vases displaying what our team can do with roses, orchids, lilies, tulips, calla lilies, gerberas, amaryllis, freesia and anthurium delivery flowers London. 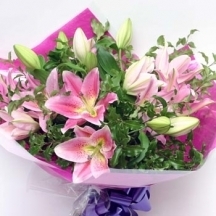 They are not all romantic flowers but can convey your thoughts, whether as congratulations flowers, new baby flowers and gifts, apology flowers or thank you flowers. Your ideas can just as easily include plants. Flowering plants, such as azaleas are seasonal plants. Most plants flower, even a cactus, but that is not their main feature. For a spectacular planted arrangement, such as White Orchids you can see why Flowers24Hours is one of the luxury florists in London. Green plants can be soothing all year round! Planted arrangements can include bonsai plants which have a charm of their own. Having developed the best same day flower delivery in London why not use this facility for another type of gift? Little luxuries, such as bath and spa gift sets add that personal touch to romantic flowers delivered online in London and the United Kingdom using one of the top luxury florists in London. If you are looking for a specific type of flower go to the column in the home page and choose, say, roses. There you will find a vast array of flower arrangements. The famous 101 red roses is not for everyone but there is Florrie, a mixture of roses with scented muscari and other delicate London flowers. Timeless Beauty is an example of Christmas flowers made from roses. Rose Garden Beauty is an example of a mixture of roses is an example of flower vases which typifies our range of romantic flowers and gifts. Think even of Savoury Basket and Roses, a combination of one of our hampers and a rose plant! Very popular with male recipients! Flowers make the ideal room decoration. Placing London flowers in a beautiful vase, or an oasis arrangement can allow more versatility in shaping a floral display. 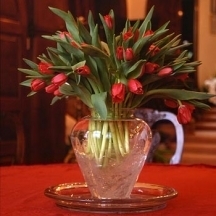 Blooms can be arranged inside a clear vase so that the glass can hold them in shape such as in the Sphere arrangement. Taller stems such as gladioli or delphiniums can be used to make stunning tall vase arrangements, with the addition of palm leaves or contorted twigs, to place on console tables or by a fireplace. Smaller fishbowl vases can brighten up a bedside table or a cosy nook. It is best to plan the overall layout including location of your vases before you order them. This allows you to design your party plan with precision. Try London Flowers Vases and see that there is something for every taste! Does Orange Rose Dome need a description? 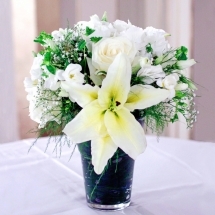 Cherish is a simple combination of white lilies, gerberas and roses and will combine with any décor. Exotic Love is a flowers vase arranged form the flowers of the exotic plant, strelitzia, which looks stunning. Elegance is another example of a flowers vase which captures elegance with the simplicity of white tulips. A Vase of Tulips relies on the more rumbustious colours we associate with the spring flowers, tulips. Whenever you need same day flower delivery, London for exclusive flowers and gifts or for other occasions, you can always find interesting choices on these pages. Products featured for same day flowers delivery London and flower delivery UK change over time, so you may want to bookmark this page for further reference. We also understand that you may be pressed for time, so we keep these pages updated frequently, guaranteeing that you will always be able to find a beautiful same day flower arrangement or a gift for same day flowers London or next day flowers for delivery, UK. Our online shopping system is secure and easy in order to save as much of your time as possible. However, If you prefer to order by phone call 020 7738 4049. As one of the luxury florists in florists London will be more than happy to assist you with choosing the appropriate exclusive flowers and gifts for the same day sending flowers, London and with any other requests you may have. When time is of essence it is important that the exclusive flowers and gifts you order get delivered on same day, London. We at flower delivery service London - Flowers24Hours understand this and have a large number of flower arrangements, plants and gifts available for same day flower delivery in London. Exclusive flowers and gifts listed on these pages are available for same day flower delivery in London and flowers for delivery UK next day. However, products marked with UK are available for same day UK nationwide delivery. There are many choices allowing you to quickly find an exclusive flowers and gifts solution for every occasion. Order online or call us at 0800 781 8877 or 020 7738 4049 for fresh and top quality flowers delivery in London and the United Kingdom. Our huge gift range includes products such as cuddly toys, gourmet and fruit baskets, champagnes, wines and spirits, soaps and scented bath products. Our special offers change daily, featuring the best of what is available in season. Summer has brought an even wider range to our virtual flowers shop. We have a huge variety of flowers to choose from at any time of year - peonies, calla lilies, roses, lilies and orchids to name some favourites. Because of our location as a florist delivery London, a large number of products are available for delivering floral gifts, London is the ideal situation for a florist shop. Send birthday flowers online with Flowers24hours - Celebrating a birthday occasion by giving a flower gift feels somehow more personal. Either floral table arrangements, flower bouquets or houseplants might be the best gift for the person you love on their special day! Just add a party balloon, bottle of wine or some chocolates and your present is so close to perfect their day will be really magical! 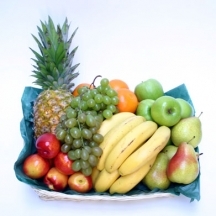 Fruit baskets and hampers gifts online - There is a wide range of hampers, fruit baskets and gourmet gifts avilable to order online for same day London flower delivery or next day flower delivery UK. These range from afternoon tea combinations of jams, and biscuits, and chocolates, beautifully gift wrapped, either alone in a wicker basket or in combination with London flowers or a lovely cuddly bear, such as our cutely presented A Gift of Floral Fragrance, combining beautiful fresh flowers with two delightful naturally scented bubble baths with the scents of English gardens and Mediterranean lemon to cater for your changing moods. From scents to soaps to complete sets we offer bath and spa gifts delivered for you in London and elsewhere in the UK, prettily presented and wrapped with a bow. 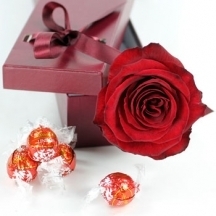 These also have some combination gifts with delivery flowers London, teddy bears and wines. And don’t forget there is always the option of adding additional gifts such as balloons. All our flowers and gifts are delivered directly from our workshop to your recipient’s address anywhere in the UK. Our own delivery drivers are ready at all times to make gift and fresh flower deliveries London same day. Order your gifts until 5pm for same day London flower delivery and up until 3:30pm for next day delivery outside London via speedy overnight courier. A selection of flower gifts are available until 1pm for same day delivery across the UK. From flower delivery in Glasgow to Gloucester, from London to Liverpool flower deliveries, and Milton Keynes to Manchester, we will send loved ones and friends a complete range of presents and flowers. Send flowers to Newcastle, Edinburg, Oxford, Ontario, Lambeth, Newham. If you are looking for Florist in North Yorkshire, Florist in South Yorkshire, West Yorkshire or Leicestershire; flowers delivered same day in Sheffield, flowers delivered in Birmingham, Bristol, Cardiff, Aberdeen, Nottingham, Swansea, Wales; or London florist in Wembley - then look no further than London florist Flowers24hours! The positive effects of flowers. What London Flowers24hours can do for you!? Flowers have many positive effects on us. There are even people who practice flower therapy, which has the notion that our emotional and mental states can be improved from flowers. This is from a number of factors, including the scent and colours of flowers. Red roses are thought to stimulate the adrenal glands and make us more physically active; sunflowers are believed to increase energy levels and promote feelings of optimism and hopefulness; Irises can help with confidence and bluebells can help us achieve quality sleep. Take a trip to your local flower shop in London and see what their flowers can do for you! A 10 month study also revealed that flowers have a positive effect on people. The results showed that participants who received flowers showed complete delight, shown through ‘excited’ and ‘genuine’ smiles (found to be concurrent between each age group). Not only this, the study also found that these positive effects were long-lasting, resulting in lower levels of anxiety and depression. There are lots of quality flower shops with inexpensive flower delivery London, who stock many varieties of freshly cut flowers which are almost certain to lift your mood! For those looking for flowers delivered in London or who want to order flowers in London, explore our preferred flower shop in London - online London florists Flowers24hours. Sending flowers in London has never been easier! Delivered on time, accurate and beautiful packing. Highly recommended.! It was delivered today though at 4 pm . Next day delivery would have taken away all the charm and wow effect. Chose you again over all competitors because you deliver on time. My fiance received her flowers during the morning and I appreciate it a lot! The flowers were delivered at 9-40pm last night, which is great for people who are at work all day, and the flowers are in bud so they should last a while , will look forward to seeing them open, her favourite flower out of season for her birthday, she loved them.